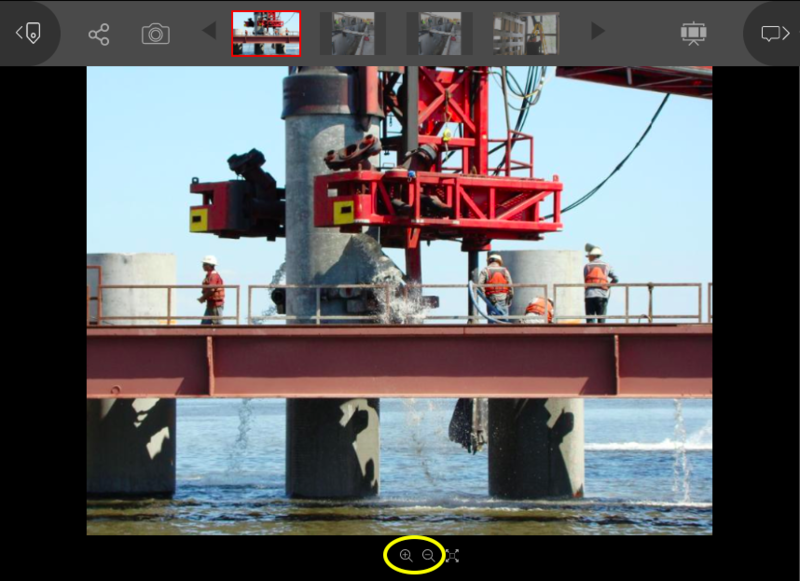 QuickTip: Click anywhere on a picture once to zoom in to where you clicked. 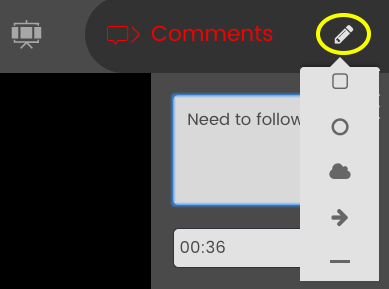 If your mouse has a wheel, you can also scroll the wheel to zoom in (scroll up) or out (scroll down). 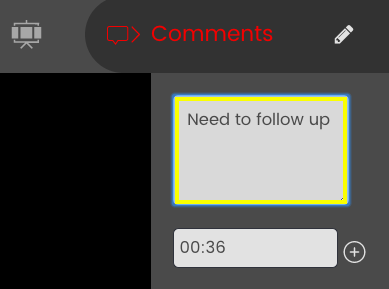 For videos (speech tags), click on a tag to jump to the part in the video where it's said. 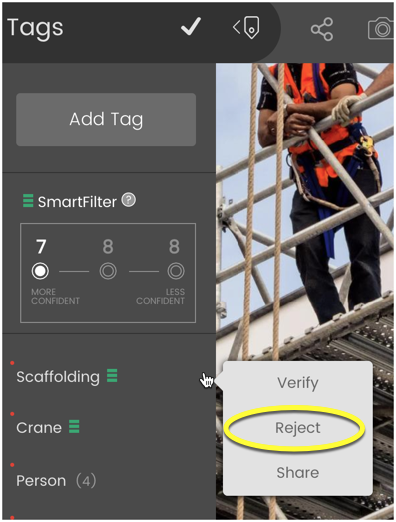 Use the SmartFilter at the top of the panel to view more lower-confidence tags found in the video by moving to medium or low confidence. 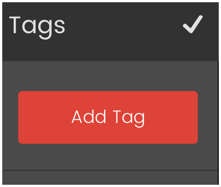 The numbers above each level show you how many tags will be in each; for example, in this case moving to medium confidence will show you 4 tags (or 1 more medium-confidence tags on top of the 3 high-confidence tags you see now). 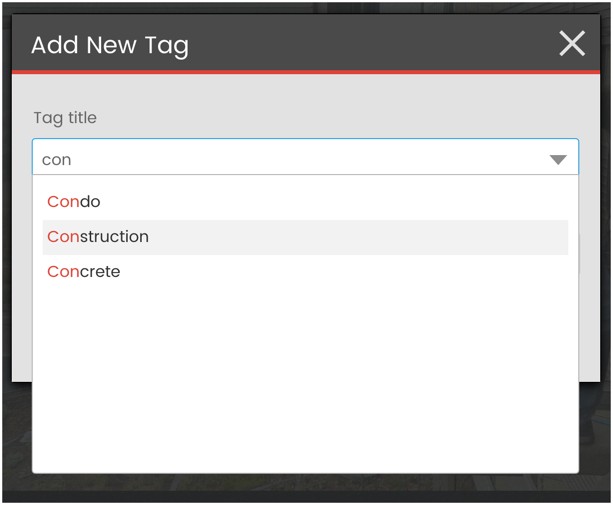 Next, you can move from medium to low to see 3 additional low-confidence tags. 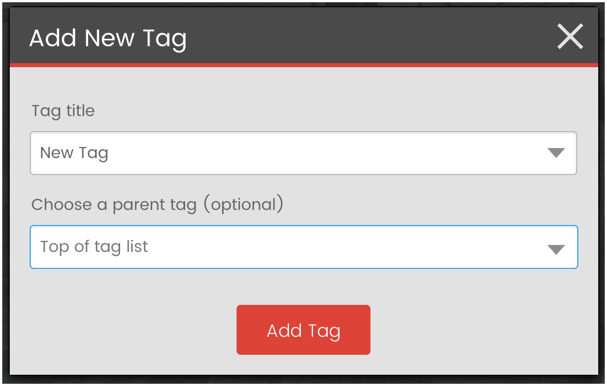 Click on a suggested tag to add it. 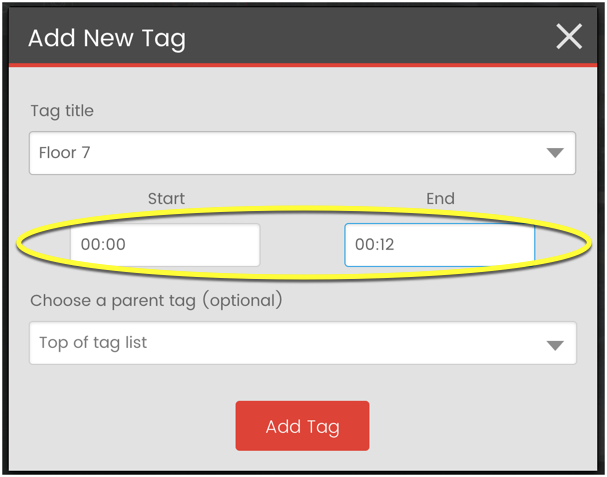 Note: If you add the tag while the video is paused on a frame, that frame automatically saves as the Start time. 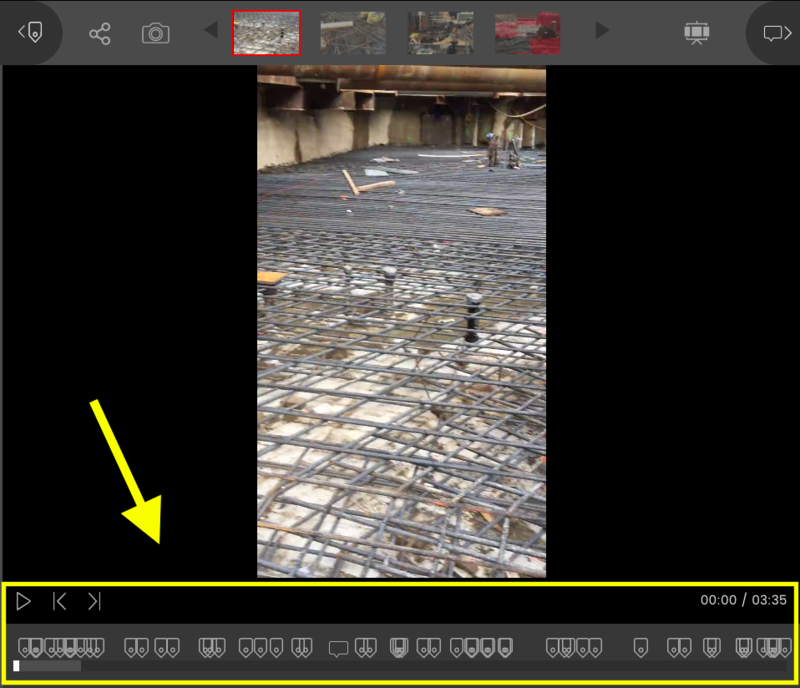 Add markup to a tag to point to, circle or otherwise emphasize something in the picture or video. 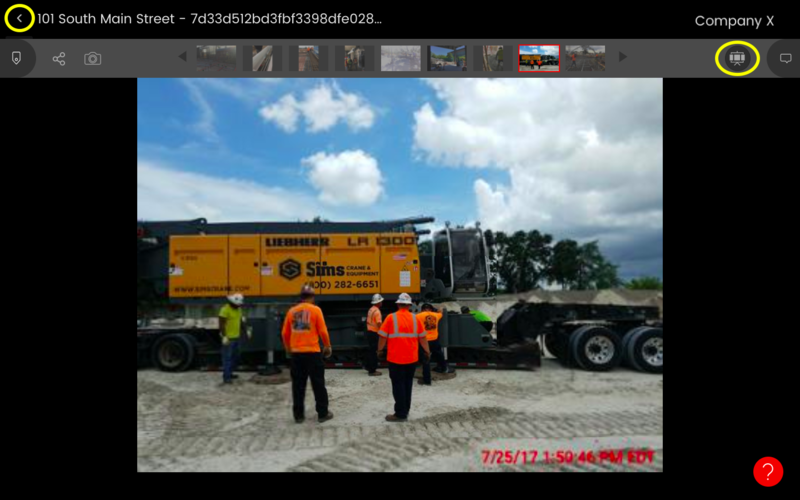 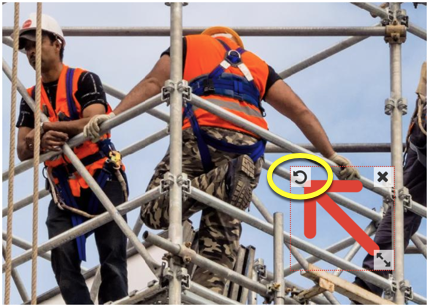 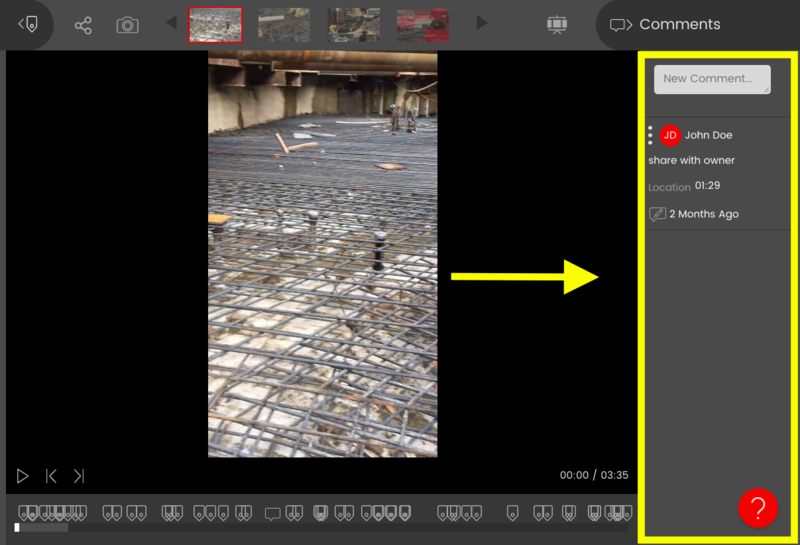 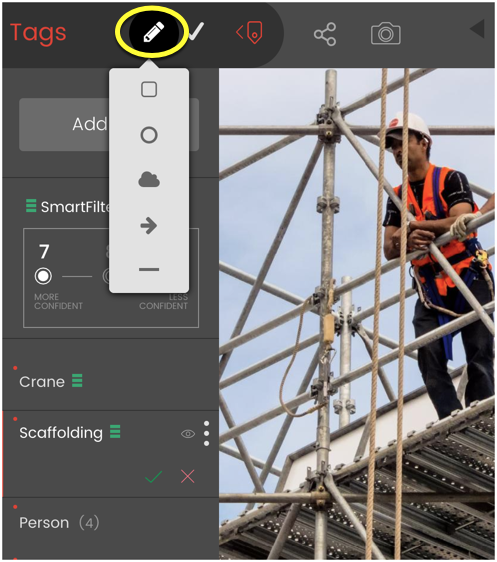 For tags generated for the construction objects it recognized in the photo (as well as manual tags with markup) the system will display boxes around the objects. 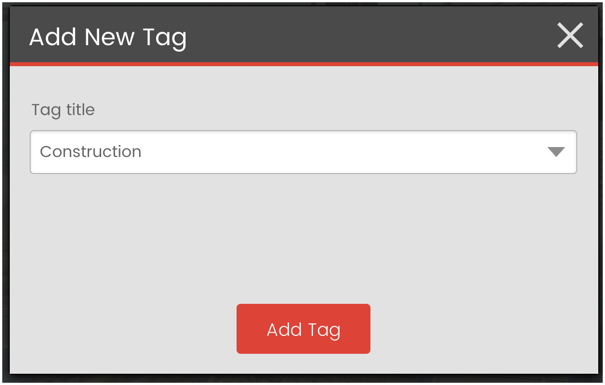 Clicking on the individual tag will zoom in and focus on the object tagged. 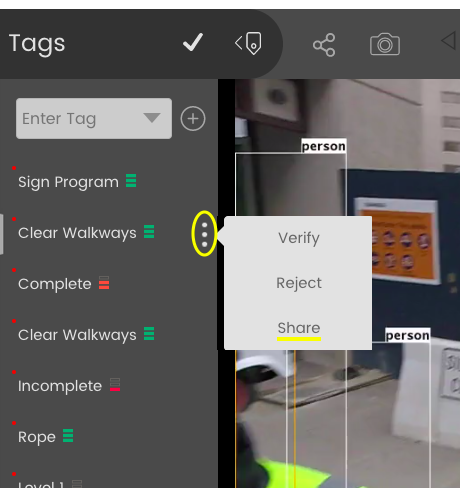 Note: The ability to click on the tag and "navigate" to the part of the photo the tag refers to is particularly useful for 360 photos where the object of interest may not be visible in the portion of the photo displayed. 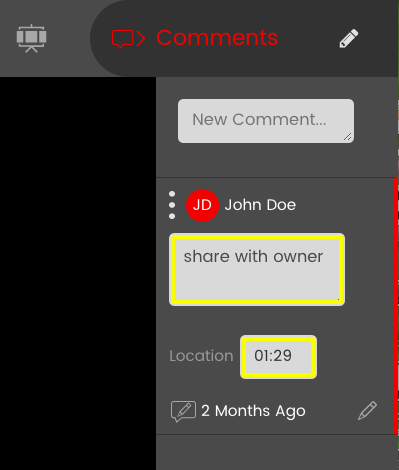 Use the Comments panel to add comments to a file and see comments others have added. 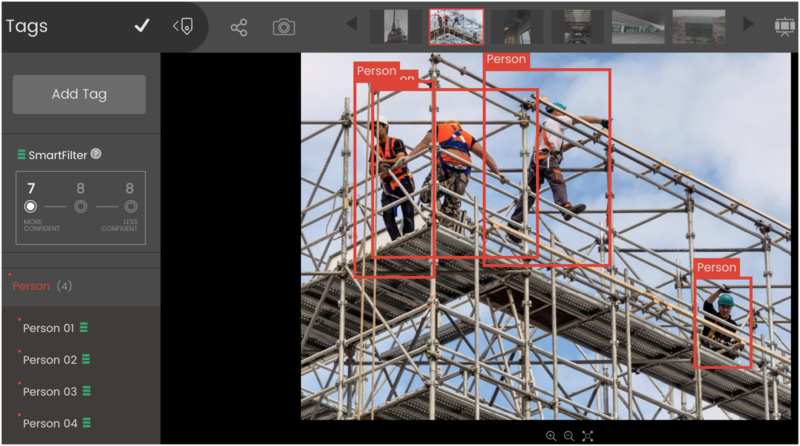 You can download picture files or .jpgs of tagged video frames, called snapshots, from the media reviewer. 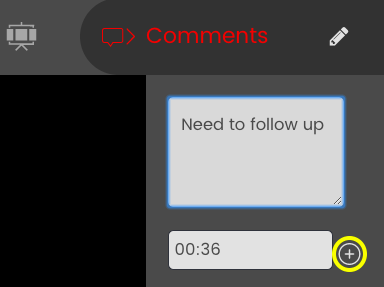 Quick Tip: You can't download a whole video file from the reviewer screen. 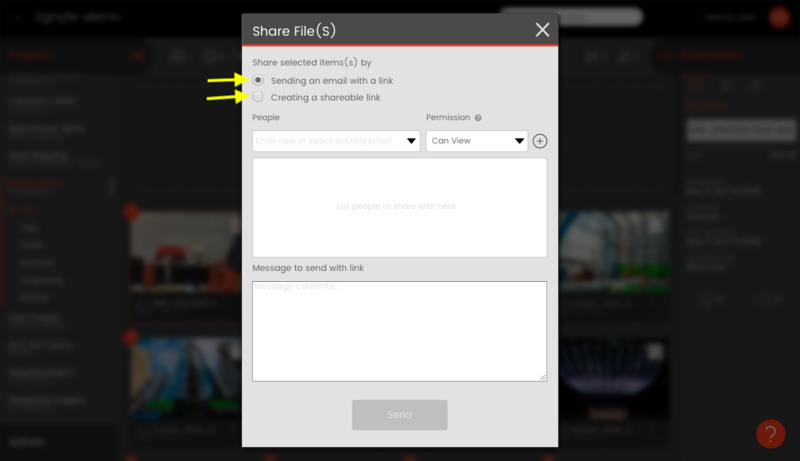 If you need to download a video, use the Files view. 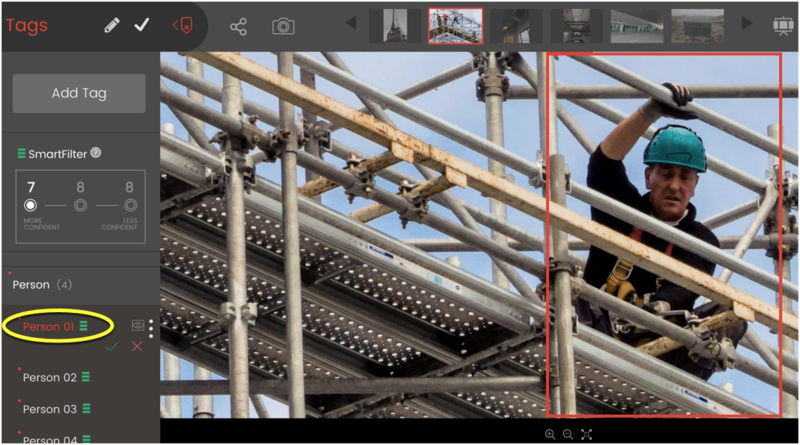 The picture will save to your computer's 'Downloads' folder as a .jpeg file. 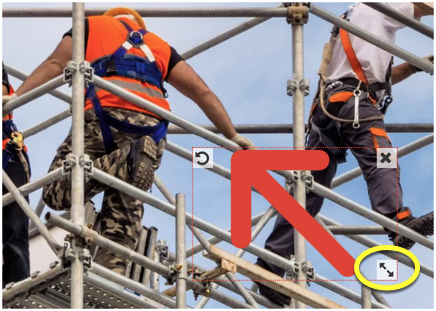 To download a snapshot from a video, go to the frame you want to download (if the frame is tagged, click on the tag in the Tags panel to skip to it) then click the download taskbar icon. 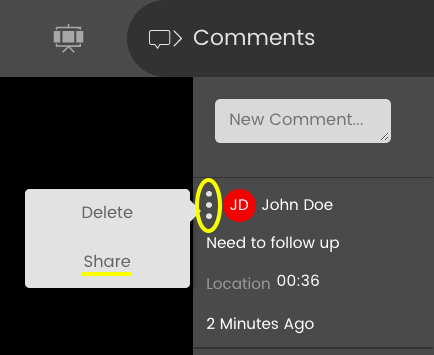 Type an optional message to include with the link. 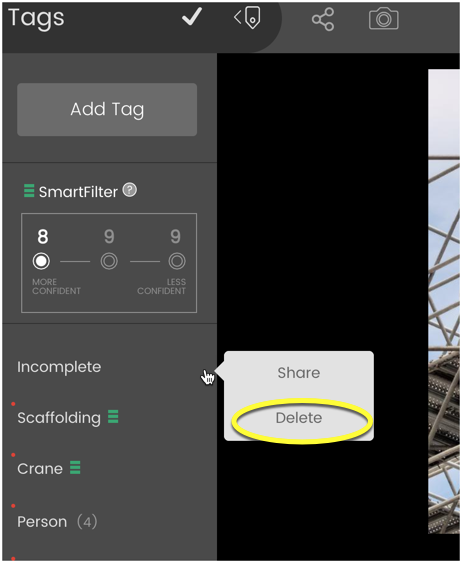 Under Share With, choose if the link should be (a) only visible to project members, (b) visible to anyone in the project organization, (c) public (if your company has turned on public links). 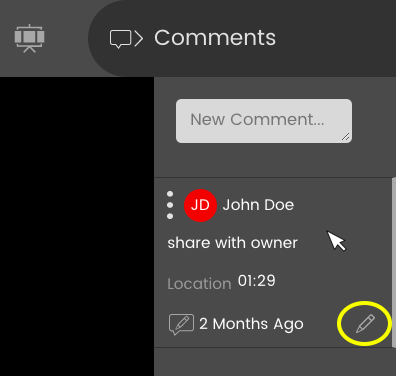 Paste the link where you want to share it (paste is Ctrl + V on Windows machines or Command ⌘ + V on Macs).